We drove into a campground outside of Bryce, UT on Thursday to clear skies. Well, actually we RV’d through some pretty fierce thunderstorms getting here. The scenery is awesome and we haven’t even toured Bryce Canyon yet. We decided to take a “do nothing” day in order to get used to camping at 7,600 feet. There is a difference. However, on Saturday we’ll start touring and photographing the park. Can’t wait. 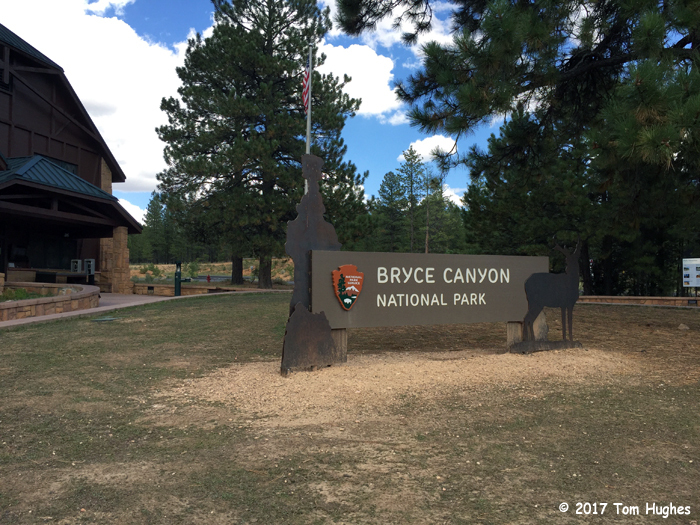 We stopped by the park’s visitor center today, bought some T-shirts, and soaked up info on Bryce Canyon. More photos to come. After Bryce, we’re headed to a campground outside of Zion National Park for a week. Finally, we’ll be back in Lake Havasu at the end of the month. Tom…I am curious. 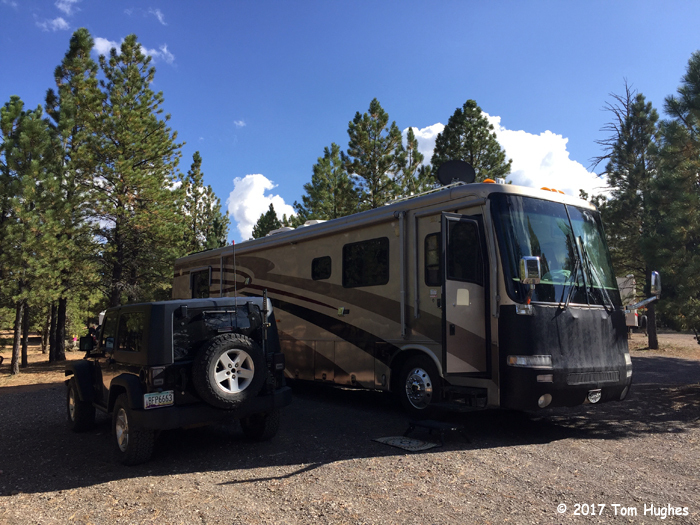 It appears that your MH is around 40′ as is mine…how difficult has it been finding a spot in the National Parks you have visited? Have you kept track of which ones do/do not accept 40 footers? We don’t stay in National Parks. They’re typically NFS with no hookups. We need electric. I compiled data on National Parks a few years ago, and over half of the sites were at least 40 feet in length. Blue skies.. a welcome sight. Hope you enjoy the next 2 weeks immensely.